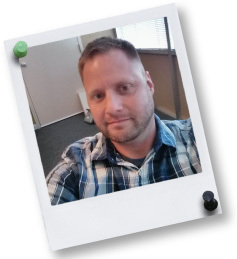 Josh Jacoby joined WriteAway as project and operations manager in 2013. Josh is a serial entrepreneur and founder of three successful businesses, with expertise in finance, marketing and business operations. He serves WriteAway in a variety of roles, ranging from strategic planning to client services to keeping our computers running and our software up-to-date. Josh founded Roseville-based managed computer services company InnovaCrew Technology Services in 2002 and sold the company in 2010. Recognizing an unmet need in the field of IT services, in 2006 Josh spun off Tech Marketing Autopilot (TMA), a marketing firm serving technology service providers throughout the United States and Canada. In 2010, Josh spun off a third business, WholesalePBX, providing voice over IP telephone services, marketed by computer managed services providers to their clients.